The year I ventured into the world of serious birdwatching, I probably spent as much time observing the birders as the birds. Something about the people who were able to discern the presence of a particular bird, first with the naked eye or ear and then through binoculars, fascinated me, as did the near-magical atmosphere of the wildlife area where they had flocked to seek out birds during the spring migration. Like a star-struck groupie, I was drawn to these longtime avian enthusiasts who had the air of experience about them, yet would take time to help me through my early awkward efforts at birding, guiding me to my first sighting of a spectacular bird. They won me over not with flashy personalities, but with serene and generous spirits that beckoned me to share in the knowledge they had developed over years of keen observation. Although like every other group, birders are diverse, I noticed that some of the best are quiet types who don’t have the trappings of a big personality or the gift of clever repartee. They seem to possess an inner repose and so bring to birding a receptive spirit that settles in to listen and watch, easily tuning out distractions. From watching and interacting with these tranquil beings, I wanted to be more like them, much as a young disciple looks to a spiritual father or mother as a model. I remember especially a man with a disabling physical condition who identified a Prairie warbler for me during my first year of birding. In succeeding years, he has no longer been able to easily navigate through the clusters of birders on the trail and so has done most of his birding from a folding stool, but whenever I see him, I am assured of hearing a report of some splendid sightings. I always have the sense that he sees and hears things the rest of us miss because we have to keep moving. 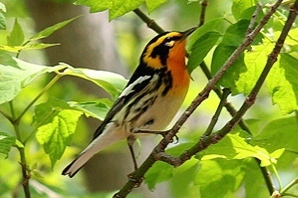 In a world numbed by its attachment to technology and noise, the birders I have observed and emulated hear and see life, whether they are delighting in finding a tiny Blackburnian warbler with its brilliant orange “fire throat” or an American Woodcock whose brown camo coloring allows it to blend into the woodland landscape. 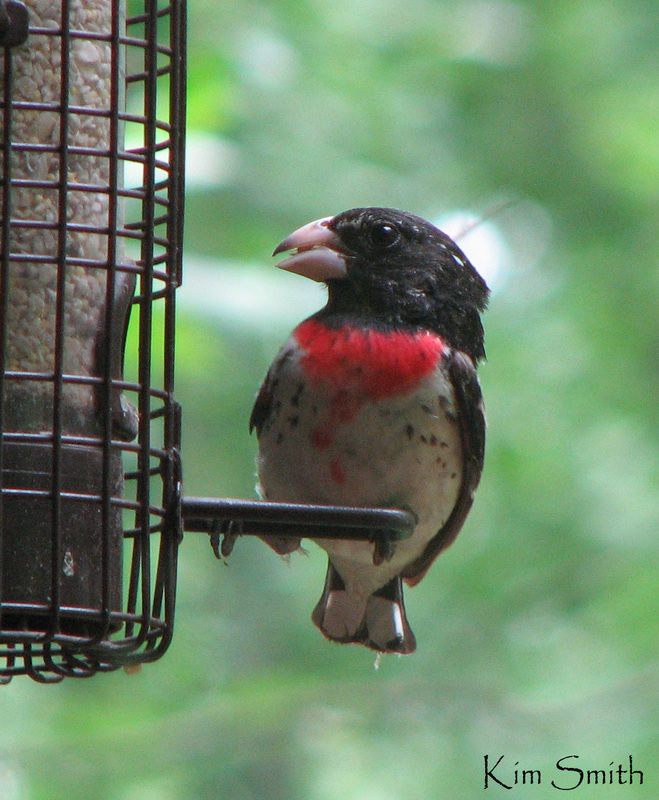 I share in this richness of the bird trail when I slow down enough to listen to the simple, soothing song of the White-throated Sparrow on these spring days, notice an Eastern Phoebe patiently waiting for the movement of an insect in my garden, or spy a Rose-breasted Grosbeak on a branch outside the kitchen window. But I reap even more when I apply the lessons of birding to my daily life: when I am willing to wait and watch for something wonderful, when I listen for the sound of a distant song, and when I am still enough to believe in the Goodness of it all. 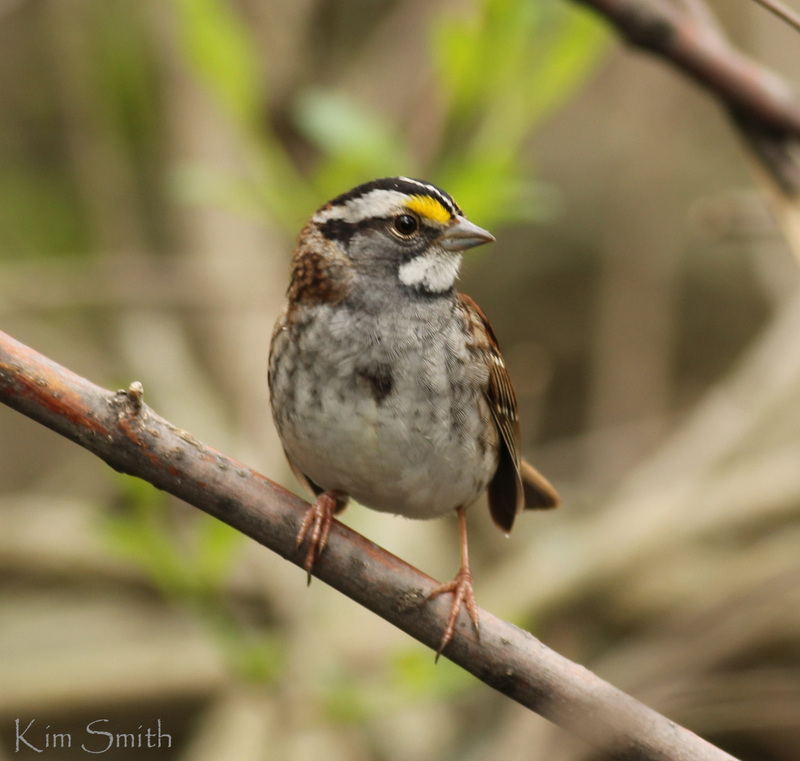 Where the birds are: If this post has piqued your interest in birding and you can travel to northwest Ohio, known as the “warbler capital of the world,” a great once-a-year opportunity awaits you during the Biggest Week in American Birding, which begins Tuesday, May 6, and continues through May 15. Also, Kim Smith, who blogs at natureismytherapy.com and graciously provided photos for this post, will be blogging from the Biggest Week and coordinating the efforts of the event’s blog team.